Paradoxically, the history of Aires Technology Research and Development Company had started several years before its actual establishment. Creation and support of the dealer network, marketing development for successful sale of the products. Over time, as the product range expanded and new challenges emerged, which were not scheduled at the organizational stage, it became obvious that there were too many tasks for a single company. The management of Aires NMTDF and Matrix Research and Development Company jointly decided to establish a separate organization. All production assets, developments, engineering solutions and intellectual property, used by Matrix Research and Development Company, were to be handed over to this organization, so that the staff thereof could focus directly on production operations and could address associated challenges. 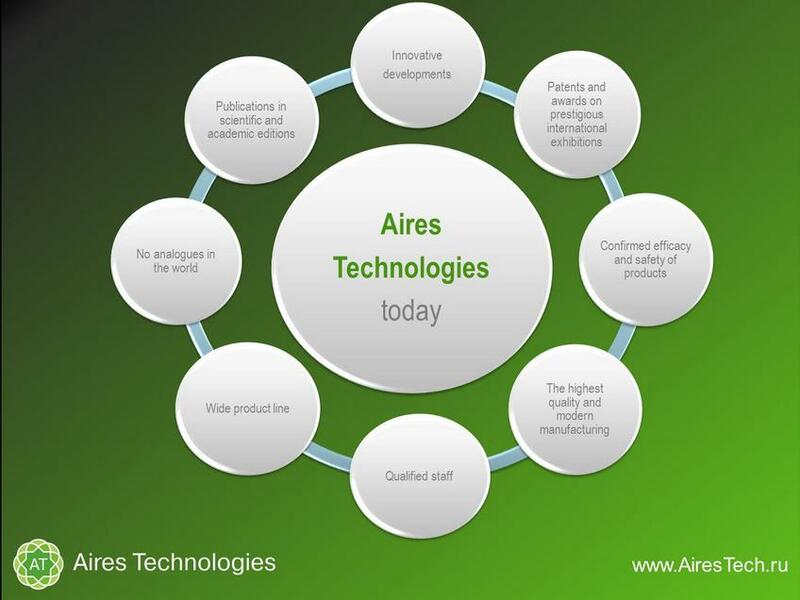 That is how Aires Technologies Research and Development Company was established in late 2002. A part of a large and friendly research team, sharing common purposes and tasks, was transferred to a new organization, while issues of the ready products distribution and support of a growing dealer network and marketing improvement remained the responsibility of Matrix. It is difficult to give an exhaustive list of all achievements and successes of Aires Technologies Research and Development Company staff over the almost twenty years of its history in a single article. This includes participation in numerous Russian and foreign exhibitions, awards of industry associations and subject ministries, and, most importantly, gratitude and recognition of high efficiency and quality of our products by millions of consumers. There is no better proof of the fact that the Company has been steadily growing and developing all these years than the ever-expanding range of high-technology products, which are supplied not only within the Russian Federation, but also to CIS countries, Switzerland, Latvia, Lithuania (Aireslita UAB), Indonesia, the United States of America, Canada (American Aires). At year-end 2017, American Aires Inc (address: 400 Applewood Crescent , Unit 100 Vaughan, Ontario, L4K 0C3, Canada) was acknowledged the best distributor. At present efforts of Aires Research and Development Company are focused on improvement of the current production technologies, search for new engineering solutions, creation and serial production of new products in tune with needs and spirit of the times.